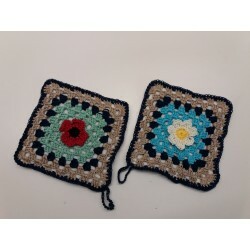 POT HOLDERS There are 6 products. 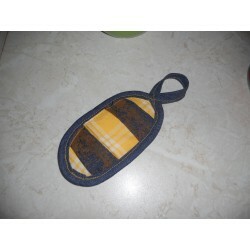 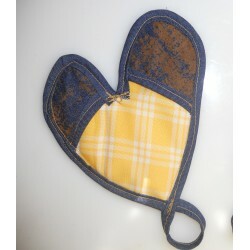 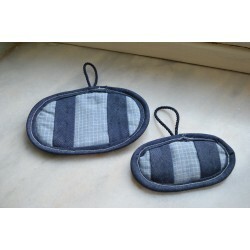 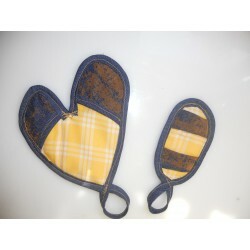 Protective Knitted handles of cooking appliances, fireplace or BBQ accessories. 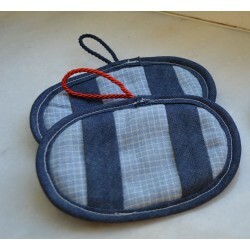 It is made of reinforced iron-cloth and a knitted decorative fabric on top as a case for the hand (Price per item).